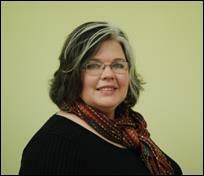 Deb has been a WIC Breastfeeding Peer Counselor for more than 5 years. She holds a monthly breastfeeding support group at Northwest Connections Family Resources. Deb also assists clients in WIC as a health screener. Deb is the WIC health screener at the Hayward WIC Clinics and mostly helps moms in the Hayward area. Deb also hosts a monthly breastfeeding support group at Northwest Connections Family Resources in Hayward. "Helping pregnant moms make an informed decision about breastfeeding is my passion. I am the mother of one short-term and three long-term breast feeders. My goal was different with each child and I look forward to helping you reach your breastfeeding goals."